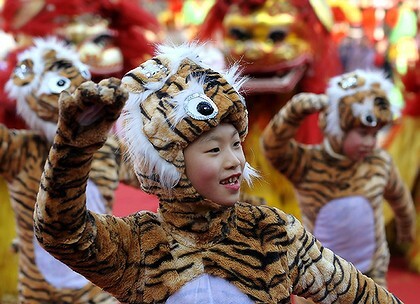 Today begins the Chinese New Year- The year of the Tiger. The name is not just symbolic because one thing is certain- the tiger has pounced. While the United States economy wallows in a recession, China’s economy is growing at a record pace. China said Wednesday that its exports climbed 21 percent in January from a year earlier, while imports surged 85.5 percent, the latest sign that world trade is starting to recover from the global financial crisis. The China trade surplus was $14.17 billion last month, compared with $18.43 billion in December and $39.1 billion in January of last year, according to figures released Wednesday by China’s General Administration of Customs. The trade statistics are the latest sign of China’s robust economic health, even as most of the rest of the world struggles to recover from the financial crisis. That we are allowing this to happen is beyond stupid. China is a poor country with nothing comparable to the tremendous research, industrial and economic resources that the U.S. has been blessed with. Yet they’re blowing us away — at least for the moment — in the race to the future. Our esteemed leaders in Washington can’t figure out how to do anything more difficult than line up for a group photo. Put Americans back to work? You must be kidding. Health care? We’ve been working on it for three-quarters of a century. Infrastructure? Don’t ask. We’re in the throes of an awful and seemingly endless employment crisis, and China is the country moving full speed ahead on the development of the world’s most important new industries. I’d like one of the Washington suits to step away from the photo-op and explain the logic of that to me. The world’s largest human migration — the annual crush of Chinese traveling home to celebrate the Lunar New Year, which is this Sunday — is going a little faster this time thanks to a new high-speed rail line. The Chinese bullet train, which has the world’s fastest average speed, connects Guangzhou, the southern coastal manufacturing center, to Wuhan, deep in the interior. In a little more than three hours, it travels 664 miles, comparable to the distance from Boston to southern Virginia. That is less time than Amtrak’s fastest train, the Acela, takes to go from Boston just to New York. 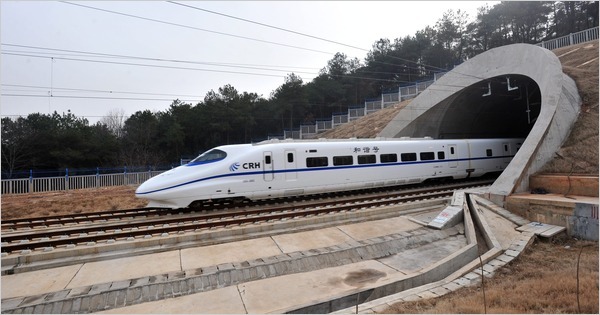 Even more impressive, the Guangzhou-to-Wuhan train is just one of 42 high-speed lines recently opened or set to open by 2012 in China. By comparison, the United States hopes to build its first high-speed rail line by 2014, an 84-mile route linking Tampa and Orlando, Fla. Indeed, the web of superfast trains promises to make China even more economically competitive, connecting this vast country — roughly the same size as the United States — as never before, much as the building of the Interstate highway system increased productivity and reduced costs in America a half-century ago. As China upgrades and expands its rail system, it creates the economies of large-scale production for another big export industry. “The sheer volume of equipment that they will require, and the technology that will have to be developed, will simply catapult them into a leadership position,” said Stephen Gardner, Amtrak’s vice president for policy and development. 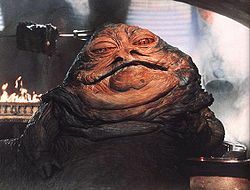 While China celebrates the year of the Tiger, I am afraid we are mired in the Year of Jabba. Political gridlock results in an economy that is sluggish and heavy lidded. Political corruption results in a government too slow and bloated to respond to obvious answers to the problem of job creation. As President Obama pointed out, Asia and Europe are not waiting. As we practice the art of doing nothing, the Tiger pounces. In our system, if the minority party can create and enforce party discipline (which has never really been done before, but which the GOP has now accomplished), then OF COURSE there can be no ‘bipartisanship’ on major legislative matters, in the sense of (1) the minority adding provisions to legislation as the majority compromises with them, and (2) at least some minority party members then voting with the majority. Bipartisanship in the American sense means compromising on legislation so that a sufficient number of members of Congress from BOTH parties will support it, even if (as is typically the case) a few majority party members defect and most minority party members don’t join. Bipartisanship consists of getting ENOUGH members of the minority party to join the (incomplete) majority in voting for major legislation. It can’t happen if the minority party members vote as a block against major legislation. And that can happen only if the minority party has the ability to discipline its ranks so that none join the majority, which is the unprecedented situation we’ve got in Congress today. And, of course, the Republicans, the party of “no”, have the discipline to vote as a block, effectively stalling all major legislation. In fact, that is the sum of their political strategy. This misguided desire for bipartisan consensus is not just limited to the Federal Government. The Idaho Statesman has an editorial this morning stating that it is time to “go back to the drawing board with the Boise Streetcar”– as if there will ever be a plan that will “build consensus”. The problem with going back to the drawing board is that Boise will miss the opportunity to receive a Federal grant of $40 million to build the project. Without the grant, Ironically called TIGER, there is no point in coming up with a new plan because there is no way to fund it, especially with the Republicans pushing through legislation to limit LIDs (Local Improvement Districts) by requiring approval by either 60 percent of resident property owners or two-thirds of all property owners within a district before bonds of $250,000 or more can be issued. Reps. Mike Moyle, R-Star, and Raul Labrador, R-Eagle, are pushing a bill that would require voter approval for any LID exceeding $250,000. The bill is a direct response to the streetcar proposal. It is worthwhile to read the Idaho Stateman Editorial, particularly their “five good reasons to wait.” Sad to say, there is not much of that “can do” spirit that made America a leader in the world to be found in this editorial. Tigers pounce, Jabbas wait for the perfect no-risk moment that will surely emerge in the far distant, murky future. “We will act when we have a perfect vision with everyone in perfect agreement”, say the Jabbas with a heavy lidded sigh. ← Utah Leads. Will Idaho Follow? We got a Tiger over here who is not having a good year so far at all! The year of Jabba the Hutt! I love it. The only change I would make is to call it the DECADE of Jabba the Hutt. The corrupt republicans will block any change for at least that long. Is it my imagination or does Rush look like Jabba?